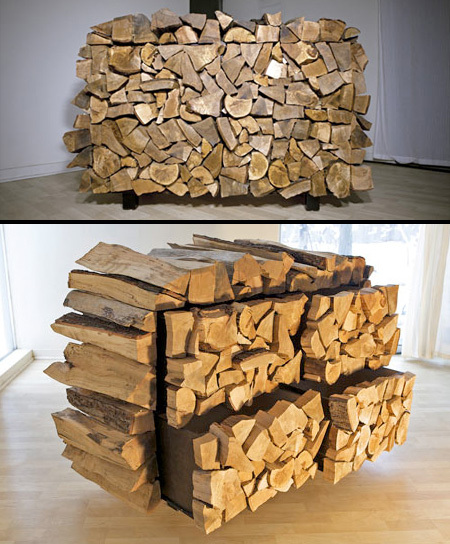 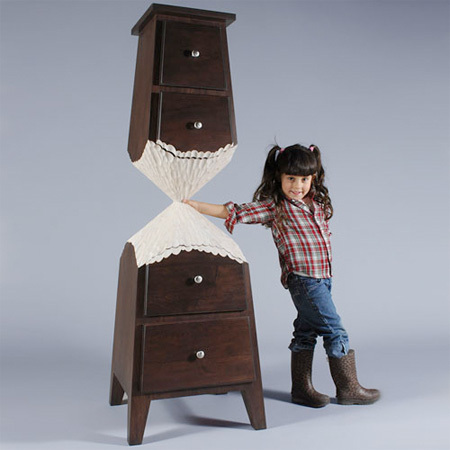 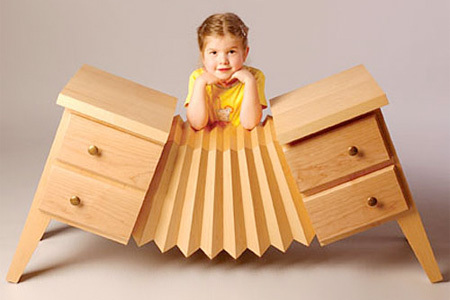 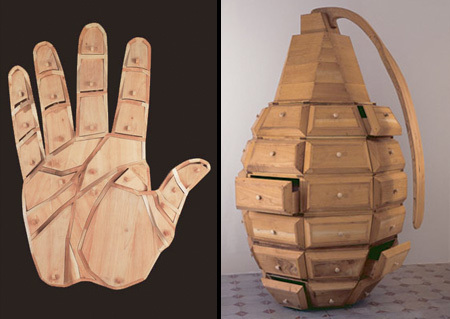 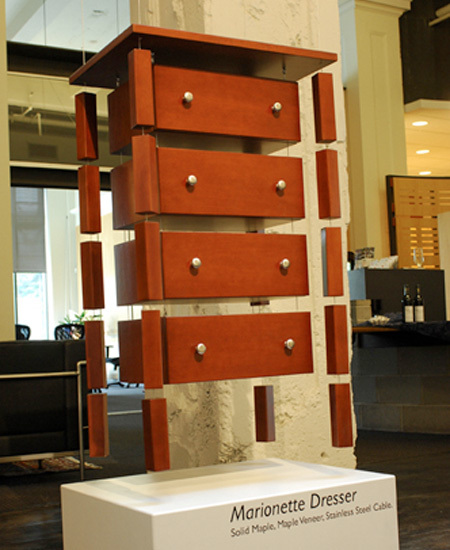 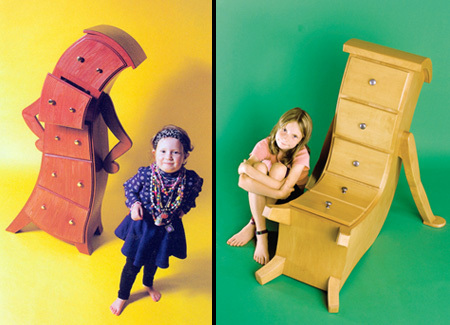 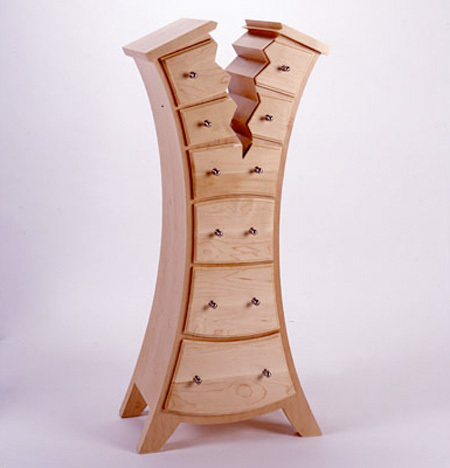 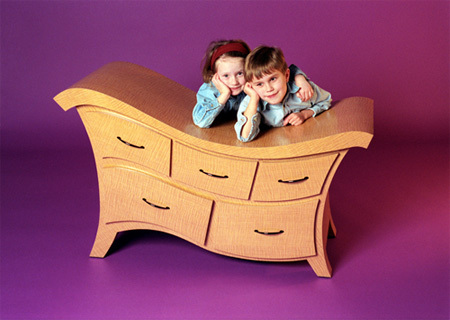 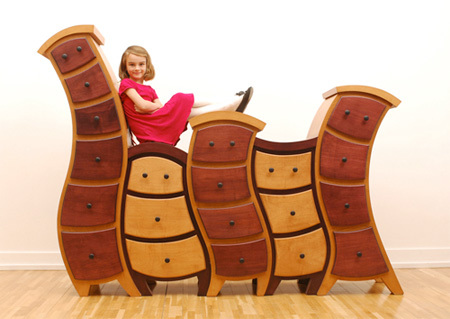 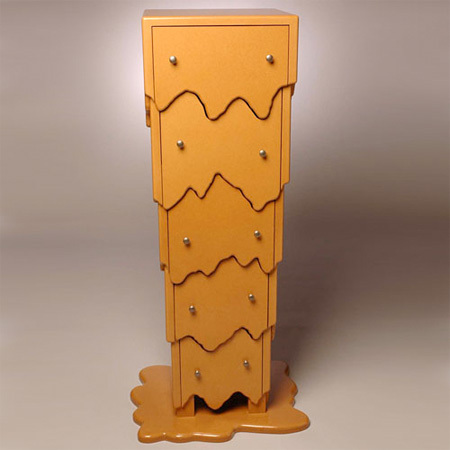 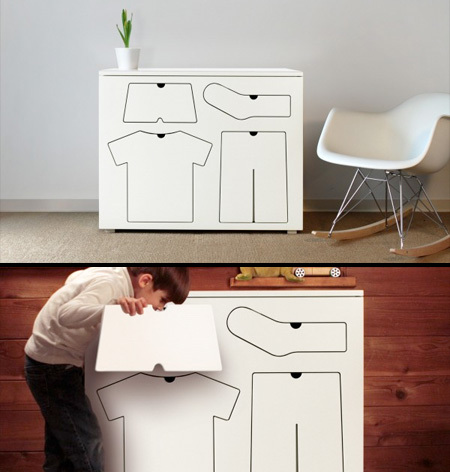 Unusual dresser inspired by the accordion musical instrument. 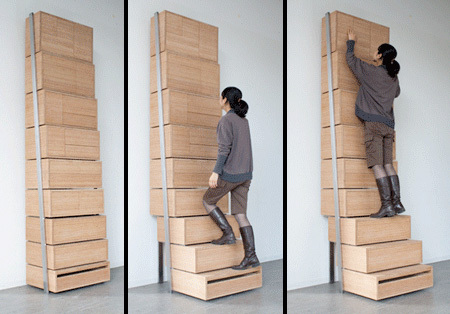 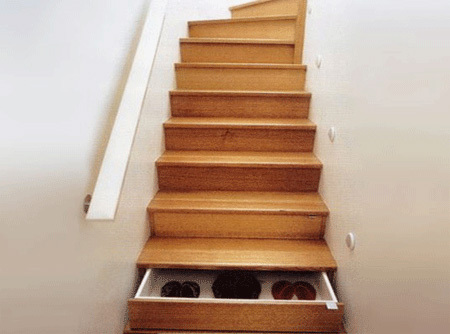 Modern staircase equipped with integrated drawers for your clothes. 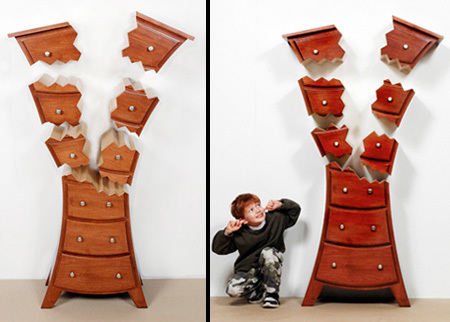 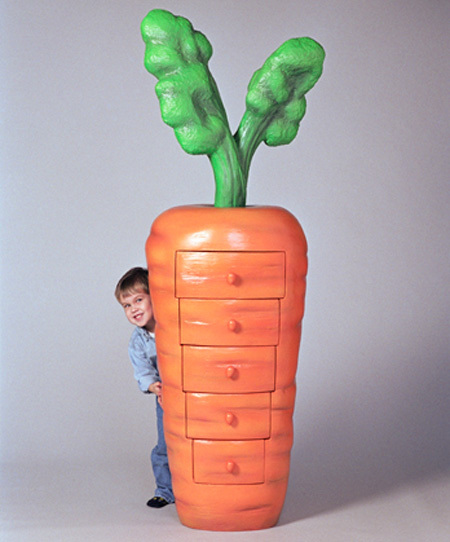 Unique storage cabinets designed to look like whimsical characters. 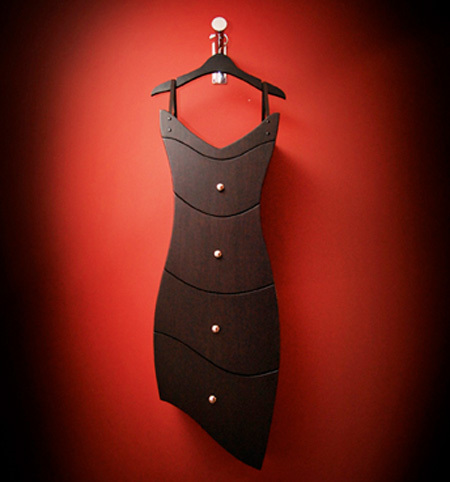 Beautiful and elegant dresser shaped like a little black dress.